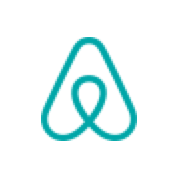 Airbnb wants to know your top concerns and questions - and keep you updated and provide answers. At the global Host Q&A events, CEO and Head of Community Brian Chesky and others from Airbnb address some of your top-voted questions. You can see every Host Q&A and read summaries of the answers right here. Thousands of questions are submitted for every Host Q&A, and we at Airbnb read every single one. We can't answer them all at the event, so instead we address them on a rolling basis, in our Airbnb Answers series online. Look out for future editions in your inbox, in the monthly Host News emails!